And talking of the end of the world, ‘Enjoy life while you can’ is an interesting and alarming article about James ‘Gaia’ Lovelock and his thoughts on climate change. Subsequent meandering research on Mr Lovelock somehow lead to this great ranting podcast by Bill Oddie. ‘Spring Watch’ will never be the same. Heat the oil in a wok and add the mustard seeds, lentils, garlic and chilli. When it crackles, add the onion and sautÃ© until translucent. 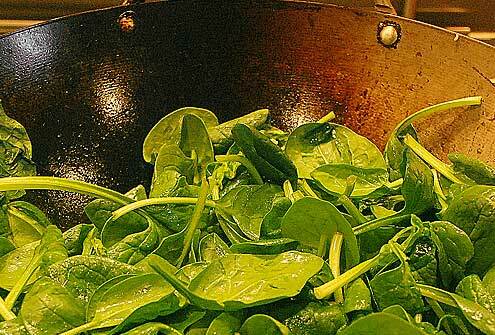 Add the spinach and salt and cook on a low heat until the greens are cooked. Garnish with grated coconut (if you have any). 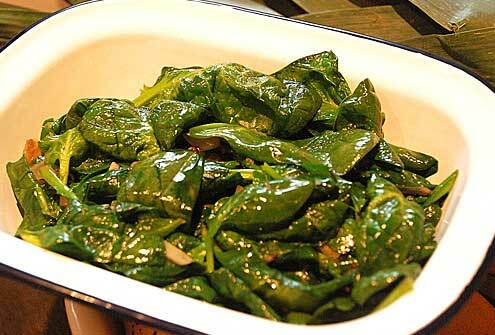 Verdict: A great side dish for the main event.